It's amazing how things change. 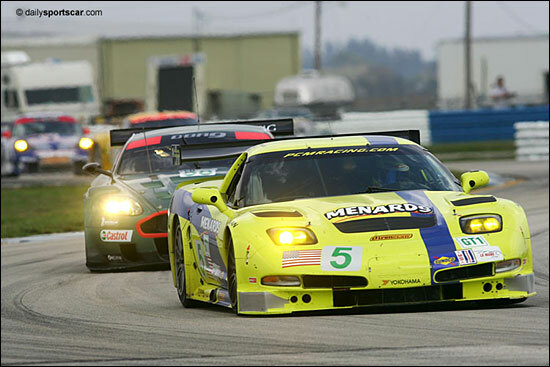 It was only seven months ago, at the Sebring Corvette test, that Tyler Tadevic was enthusing about his new C5-R, and his new sportscar program. 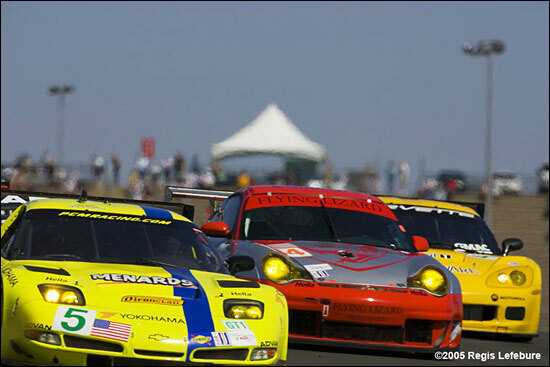 Pacific Coast Motorsports was making the change from running Toyota Atlantic to running the American Le Mans Series, having won the Atlantic championship in convincing style from a bevy of strong challengers. 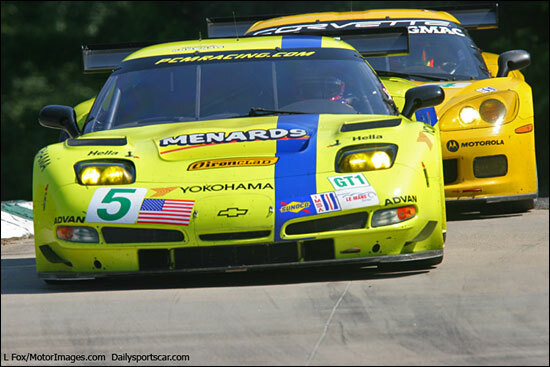 They had bought a C5-R, negotiated a development contract with Yokohama, and hooked up with Menard's for sponsorship, while enlisting rising star Ryan Dalziel to partner their in-house nascent talent Alex Figge, with David Empiringham filling out the driving roster. Now the team has withdrawn for the balance of the season, and Tyler is saddened at the turn of events. "We had originally believed that this would be a transition year, and that next year we might have an opportunity to step up to running a C6.R, but we found out at Road America that this option was not going to be available to us," Tyler said. "We had gone from racing in a series where everyone is able to acquire similar equipment, and where in house talent made the difference, to racing in a series where we were limited to results that would be appropriate for our three year old car racing against state of the art equipment." 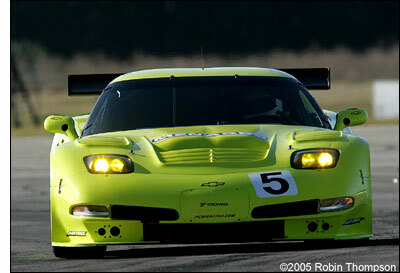 Everything started out well, with PCM able to lap faster at Sebring than the chassis had ever done before at the track. Development of Yokohamas was proceeding well, and the team was upbeat about its future prospects. Unfortunately, while able to run as high as third on merit during the 12 hour race, they were ultimately shoved off the podium by an upright failure. It was a harbinger of things to come. "We wanted a more up to date chassis, but this (#6) was the best that Corvette was able to offer us." PCM believed there was to be a development relationship between them and Pratt and Miller, but some of the help they anticipated didn't materialize - "The engineers and crew of P+M were as helpful as they could be, though." Further disillusionment set in when the news came out that GL-PK Carsport was able to acquire chassis #11, a 2004 spec car, for the FIA-GT. Tyler is currently fielding inquiries from Corvette collectors; chassis #6 has seen its last competitive days. Tyler wanted to thank the staff, sponsors and fans of the American Le Mans Series for all their help over the course of the year. 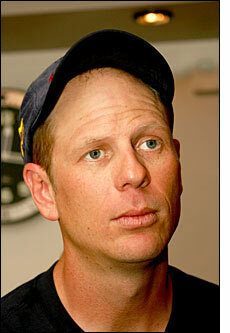 "Scott Atherton has put a lot of work into helping us into the series, and he's still trying to help us. We've had discussions with Aston Martin, but we're still trying to work out the budget for next year." They've also looked into other classes of racing, but are wary of joining any potentially factory-dominated racing without appropriate tools. Whether that's as a privateer or with a factory affiliation remains to be seen. Tyler is adamant that PCM will remain in sportscars, noting that he's put a downpayment on a Riley/Pontiac for next year. 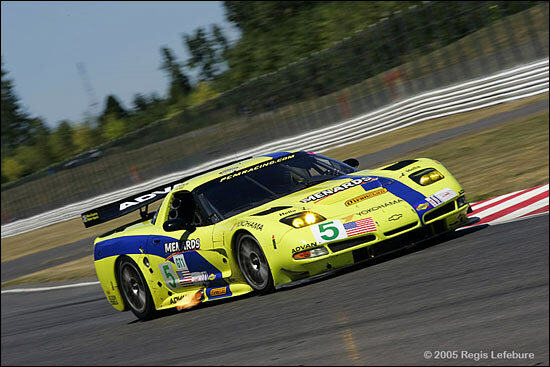 His reasoning is that, given the demand for Rileys in particular, it was the only way to ensure that they could get a car in time for the Grand American season opener at the Daytona 24. "We want to stick with GM power, as we're proud to be affiliated with the company and want to continue to represent them. We put a downpayment on the same car last year before we decided to buy the Corvette..."
Ultimately, Tyler Tadevic will bring Pacific Coast Motorsports back to the sportscar fold, with equipment that will give him a realistic chance at wins. His fans would expect nothing less, and will cheer him on upon his return.